Famous for the arrival of Christopher Columbus in 1493, the US Virgin Islands are without doubt a place of wondrous natural beauty. The islands consist of Saint Crox, Saint John and Saint Thomas along with the much quainter but historically important Water Island. The climate on the Islands is typically tropical which is tempered by predominantly easterly trade winds. Mountain ranges dominate the interior landscape of the Islands which are densely covered in lush greenery. Beaches here are plentiful and the pristine white sands continue for mile upon mile. 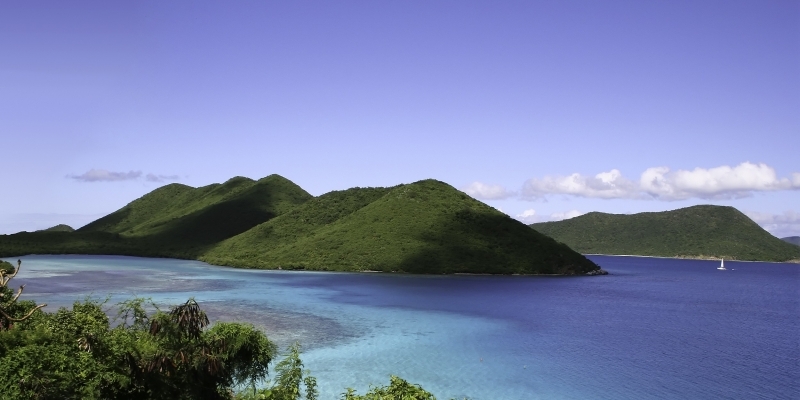 If calm and serenity is what you are hankering after then the US Virgin Islands are the perfect location. 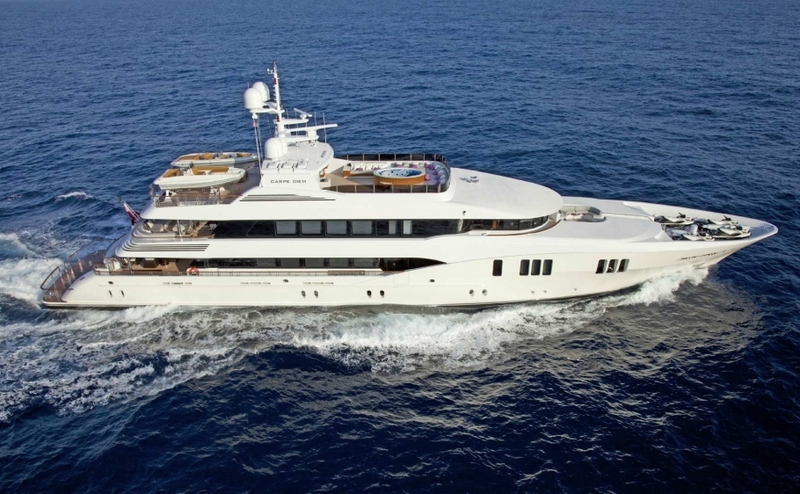 Yachting here is an absolute dream come true due to the easily navigable waters and picturesque anchorages. The Caribbean Sea is studded with jewels, and the beautiful US Virgin Islands sparkle as brightly as any – a place of wondrous natural beauty that is steeped in history and the perfect destination for a luxury yacht holiday. Mountain ranges dominate the interior landscape of the Islands which are densely covered in lush greenery, while warm turquoise seas lap against pristine white sand beaches for a true taste of paradise. 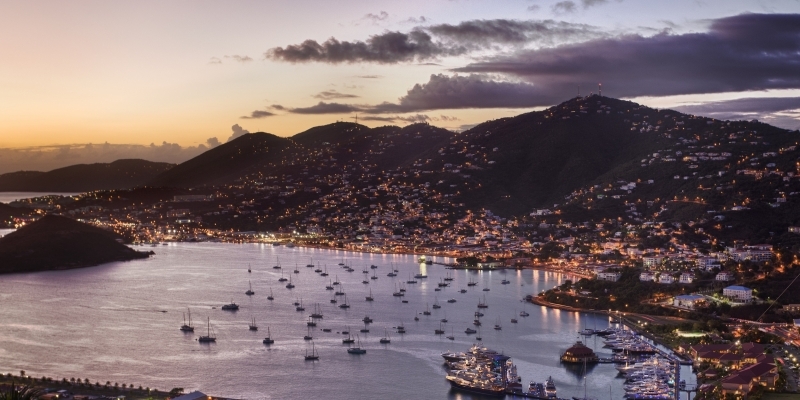 Sailing the calm Caribbean Sea that surrounds the islands makes for a dream getaway, thanks to the easily navigable waters, predominantly easterly trade winds and picturesque anchorages – chartering a yacht in the US Virgin Islands is the only way to travel. Nestling on the border between the North Atlantic Ocean and the Caribbean Sea, the US Virgin Islands share the volcanic Virgin Islands Archipelago with the Puerto Rican Virgin Islands of Vieques and Culebra, as well as the British Virgin Islands. The US Virgin Islands are made up of three main islands and dozens of smaller islands, all of which combine deep water lagoons and alabaster beaches with lush greenery and volcanic landscapes to create some of the most breathtaking tropical landscapes in the world. The main islands have an official name and a local nickname, each of which gives an insight into islands life and the easy-going charm of the locals – St Thomas is known locally as Rock City, St Croix as Twin City, while St John is affectionately called Love City. A yacht charter in the US Virgin Islands is the ideal way to follow in the footsteps of Columbus and take your own voyage of discovery through paradise. 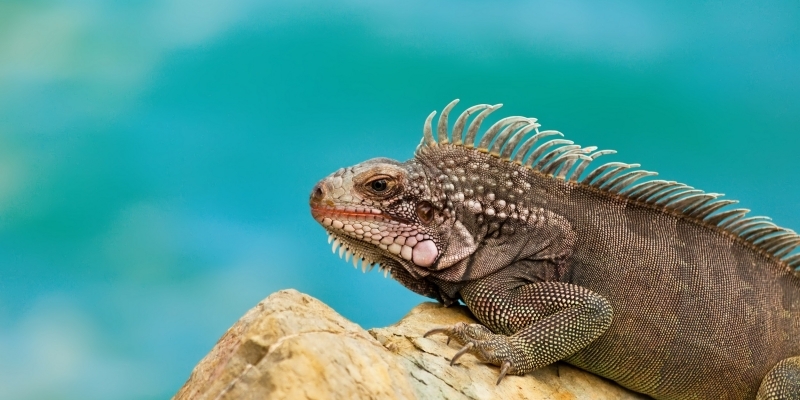 The three main islands that make up the US Virgin Islands are close enough to navigate between with relative ease, but each is diverse enough to offer up completely contrasting experiences. From sleepy St. Croix, to bustling St. Thomas, and the natural beauty of St. John, a luxury yacht holiday in the US Virgin Islands has it all, whether you want white-sand beaches, world-class snorkelling, beautiful National Parks, the history of colonial towns and forts, or duty-free, high end shopping and fine dining. Starting at St Croix, Buck Island is one of three Underwater National Monuments in the US, and the ideal destination for snorkelling – swim with giant sea turtles, thousands of tropical fish and see some of the most stunning coral reefs the Caribbean has to offer. If history is your thing, the town of Christiansted has beautifully restored colonial buildings lining the water’s edge as well as an old fort that is steeped in history. Charlotte Amalie has some fine examples of European colonial buildings from when it was the West Indies’ dominant trading centre. It now houses some of the island’s best boutique shops and restaurants. And overlooking Charlotte Amalie is Fort Christian, which was built in 1672 to protect the town against pirates and European rivals. On to St John and the National Park has to feature as part of your plans, not least because it covers around two-thirds of the island – hike through the lush green undergrowth and snorkel in the beautiful coral reefs to experience the natural wonder of the US Virgin Islands. No trip to the Caribbean is complete without a few days’ relaxing on the beach, and there’s no better place to get away from it all than the white sands and azure seas at Trunk Bay. And with the three main islands complete, there are dozens of other smaller islands to explore at your leisure – and there’s no better way to do this than on your own chartered yacht. The paradise outcrops that make up the US Virgin Islands are thick with lush vegetation and lined with miles of white sand beaches, while the calm waters and easterly trade winds make for some great sailing. 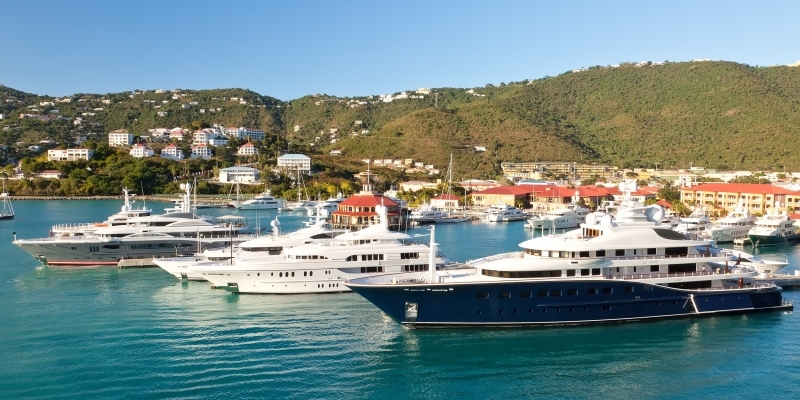 The best time for yacht charter in the US Virgin Islands is between April and June, when the weather is mild and there is very little rainfall. The peak season is from December to March, when temperatures can reach the high 80s and the evenings are breezy. 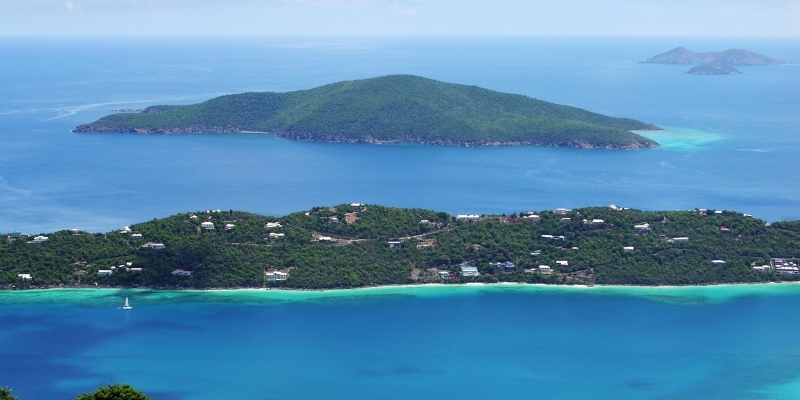 The US Virgin Islands can be accessed by sea or air, with international flights landing in San Juan in Puerto Rico and then connecting flights going on to one of the two major airports on St Thomas or St Croix – either island is an ideal starting point for a luxury yacht charter in the US Virgin Islands. The US Dollar is the region’s accepted currency, and the local language is English, although it is common to hear French Creole and Spanish spoken, particularly on St. Thomas and St. Croix. You can access the US Virgin Islands by flying into San Juan, Puerto Rico and taking a local transfer to the Cyril E. King Airport on St. Thomas or the Henry E. Rohlsen Airport on St. Croix. 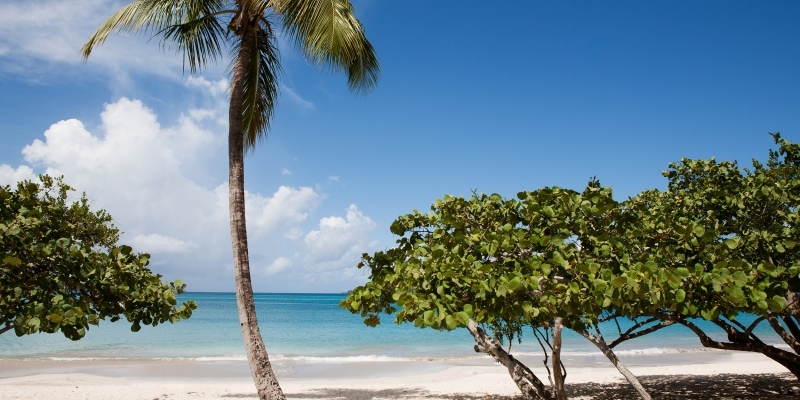 Non-stop and connecting service from the US mainland to St. Thomas and St. Croix are available. 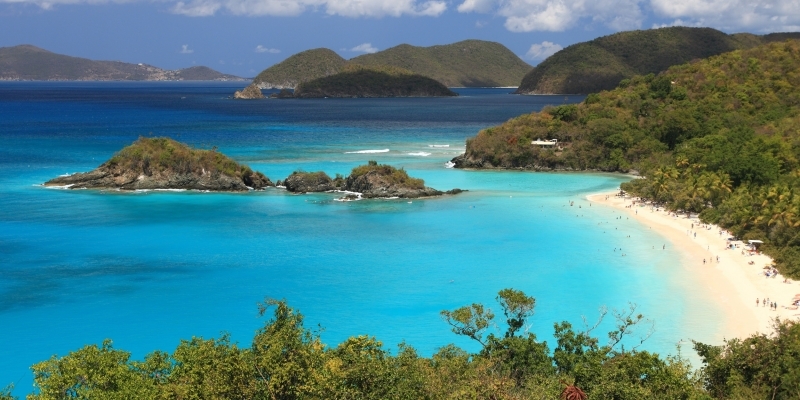 Once there, chartering a yacht in the US Virgin Islands is the best way to see everything on offer. 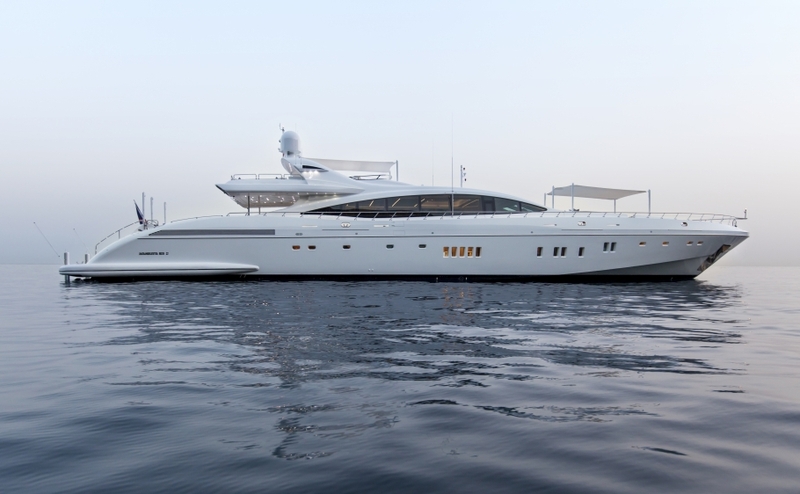 Princess Charter offers a variety of yachts for charter along the Italian Riviera, ranging from 20 metres to 100 metres in length. To book your perfect getaway, give our team a call 0207 499 5050, or email info@princessyachtcharter.com. Alternatively, leave a few details here, and we’ll give you a call back at your convenience.